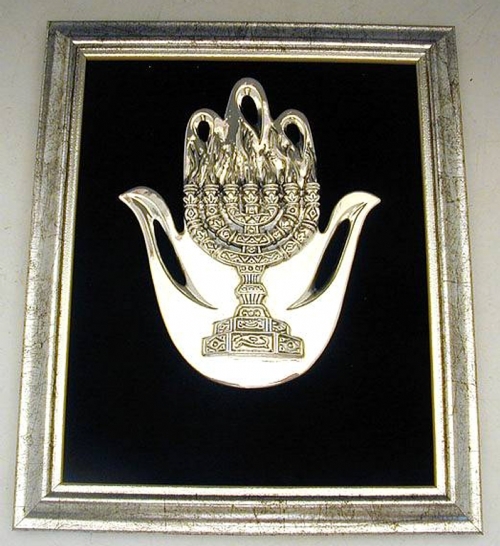 Magnificent artisan framed sterling silver (NOT silver plated) 7 Light Menorah plaque, Judaica. 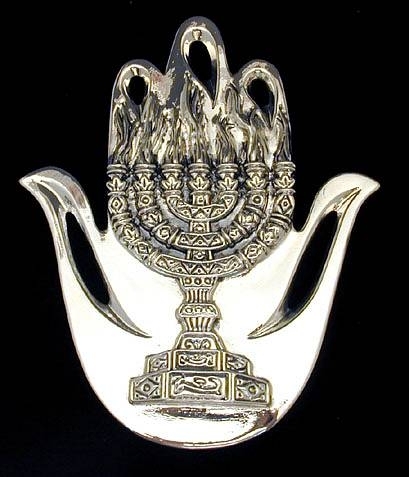 The unique plaque is shaped as a Hamsa against evil eye, centered by a superb 7 light Menorah. Mounted in a rectangular wooden frame with black velvet background. This item was made in the electroforming method.